Ahead of their trip to face Sunderland on Sunday, the Manchester United first team took time out on Saturday to meet fans at Manchester United Foundation’s latest Dream Day. 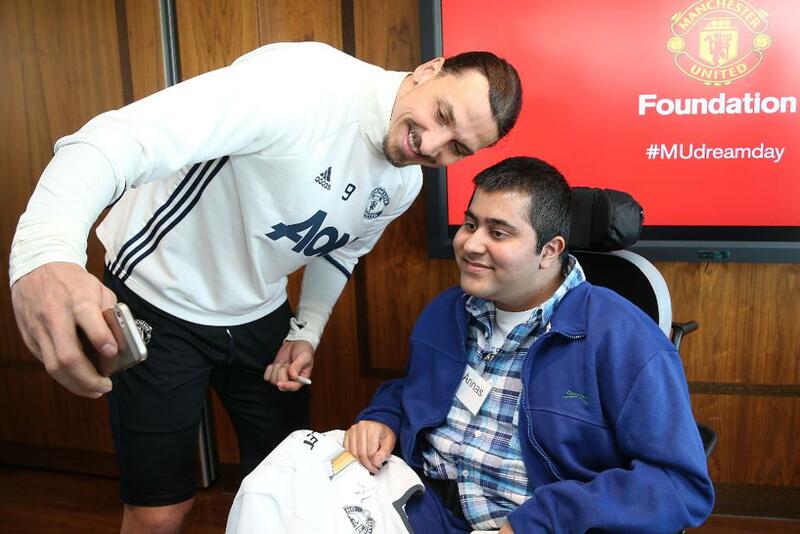 The full team, including Zlatan Ibrahimovic, Paul Pogba and captain Wayne Rooney, met 15 fans who suffer from serious and life-limiting illnesses at the Aon Training Complex. Kayden, 10, from Northern Ireland, who suffers from quadriplegic cerebral palsy was delighted to meet the team, especially his idol, Ibrahimovic. Ibrahimovic also enjoyed meeting the fans. For more information about Dream Days visit Manchester United Foundation.